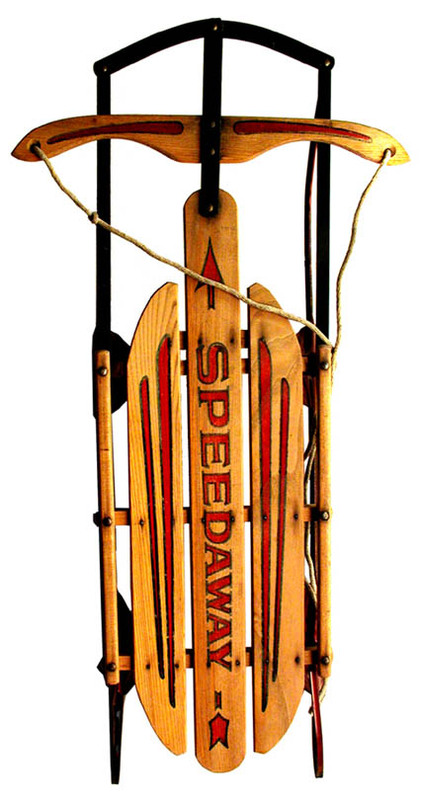 John David names his slope after his faithful dog who always went sledding with him. 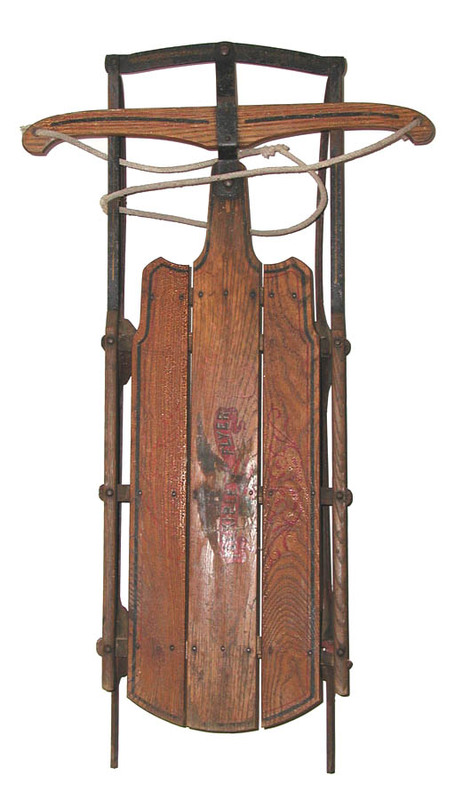 The sleds on this page demonstrate the varieties of sled manufacturing, both as to style and engineering. 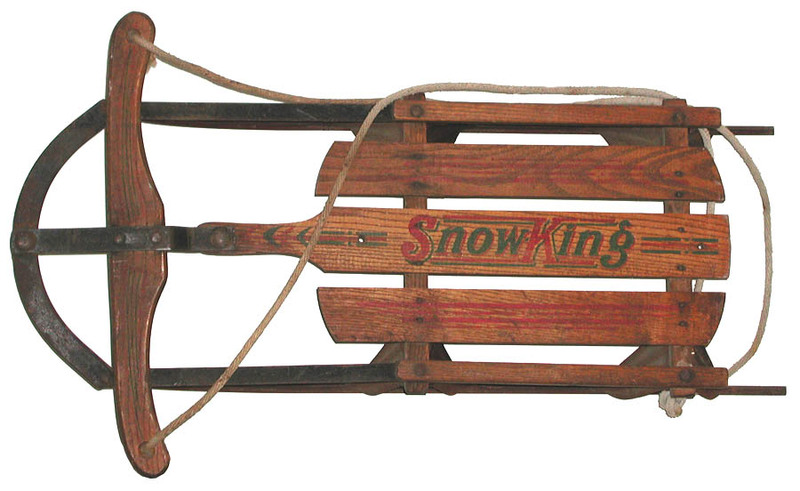 He writes about his collection: My collection is modest, maybe 30-40 sleds at present. 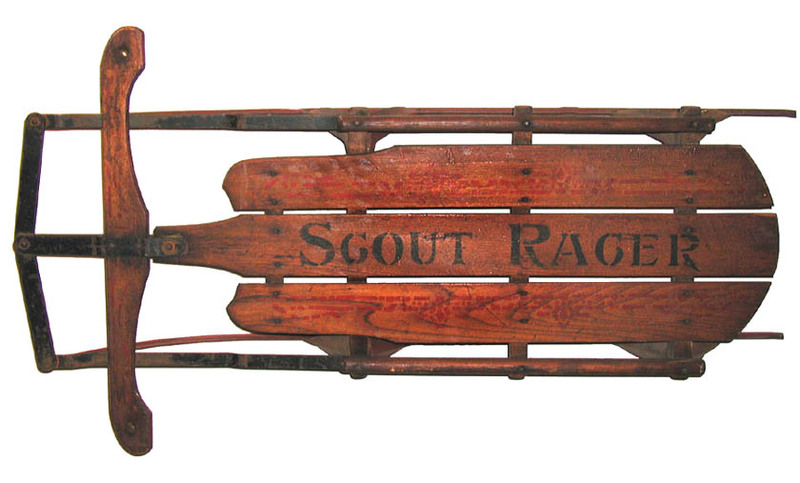 I don't typically try to collect along a particular line, I just keep an eye out for interesting shapes & graphics, and generally look for sleds that are in the not-too-pristine, but yet-not-beat-up range. 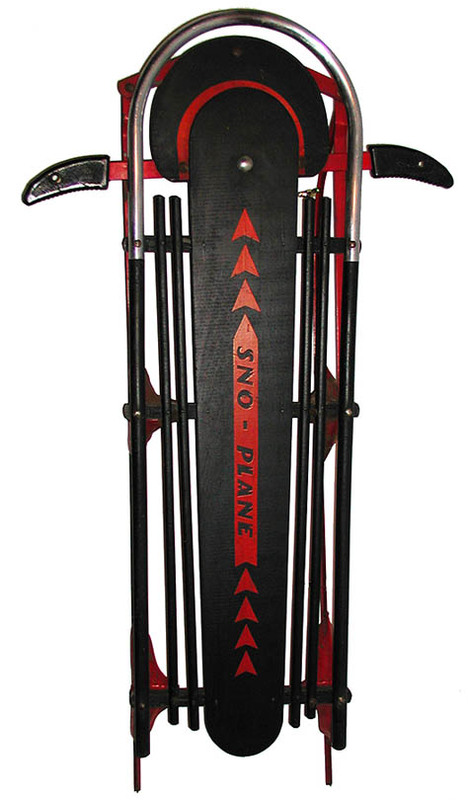 I like to think that my sleds were all used & enjoyed for their intended purpose, and that they have all made someone happy to have ridden them. 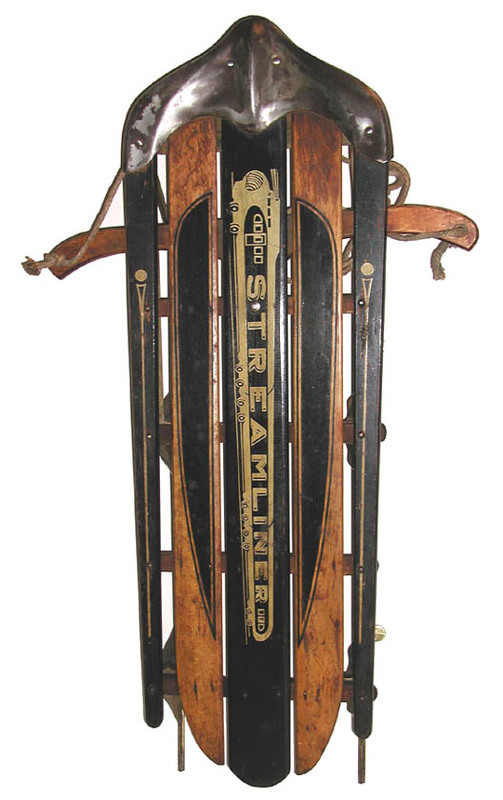 I usually like to find details that are 'telling' of the sleds' history, for example a name carved on the underside of the deck. 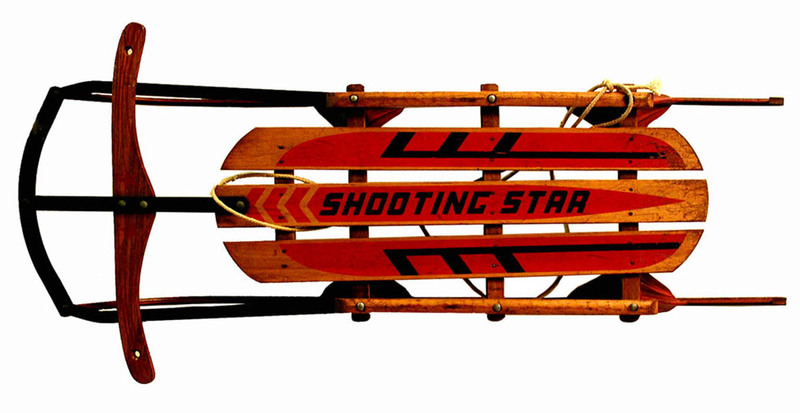 John David brings a new dimension of photography to the site, adding: I've got many of my sleds mounted on the walls in the hallway & living room of my house, both are painted white. I generally use a 3-megapixel camera, on tripod, and shoot with natural light coming in thru the windows + flash as needed. Any adjustments cropping etc. 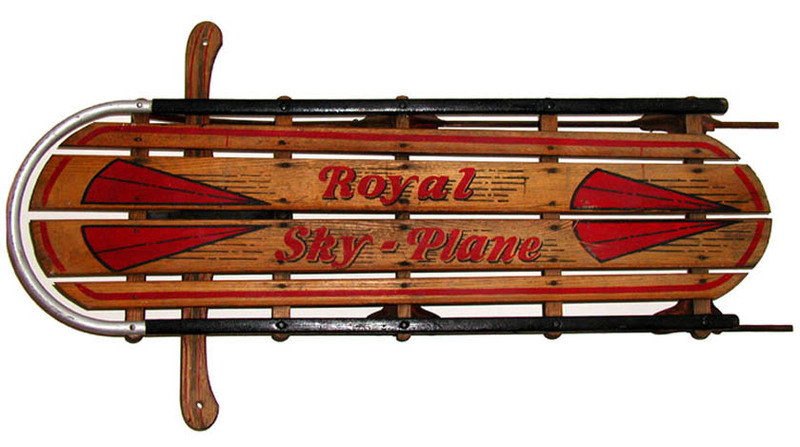 are done in Photoshop, such as removing background, although using a white wall eliminates most of the background. 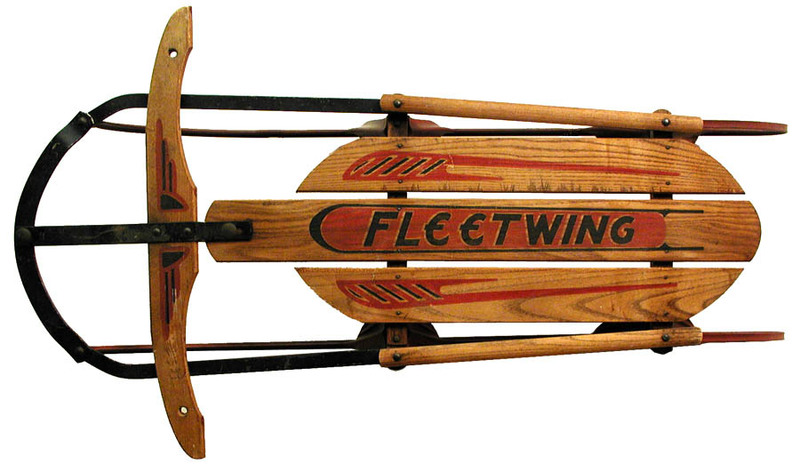 FLEET WING Made by the Buffalo Sled Company, later AutoWheel Coaster Co.
FF - 1C This early Flexible Flyer dates from 1915 to 1920. 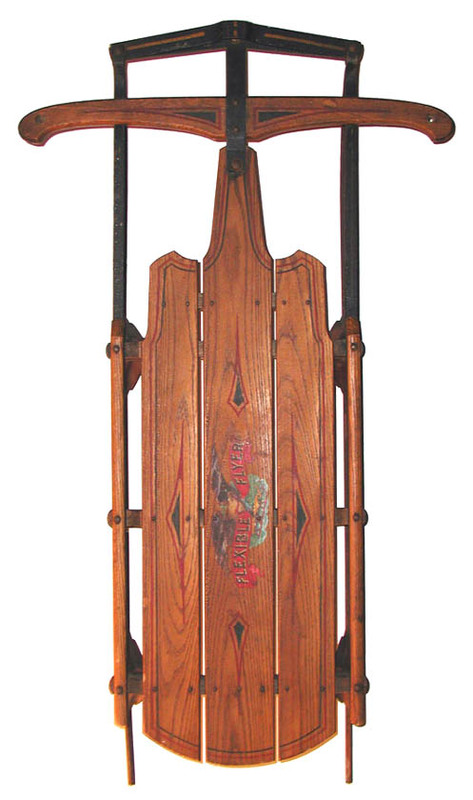 Its age can be determined by the logo or trademark in which the eagle carries a shield (shown below) rather than a sled, which started in 1921. 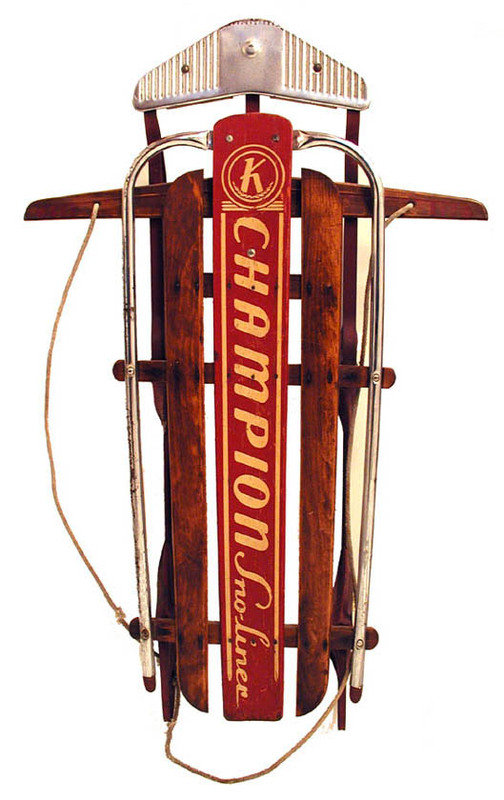 FF - G Series A fine example of a G series sled with the diamond pattern, in original condition. 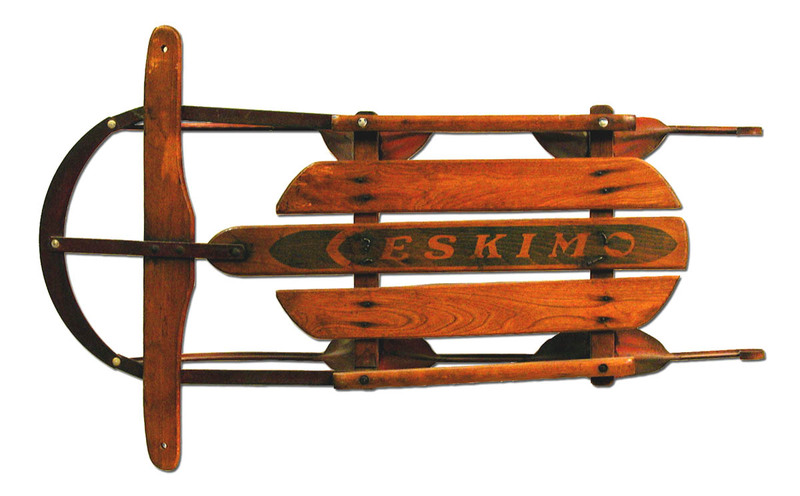 The G series is an early 1930's sled that was introduced before the Airline series. FF Junior Racer with child's seat This very good Junior Racer is an E Series and has a child's seat built by another manufacturer.